Boats will be arriving throughout the day on Friday and the public is invited to Meet & Greet the Crews on the Bayfield city dock from 7 pm to 9 pm. 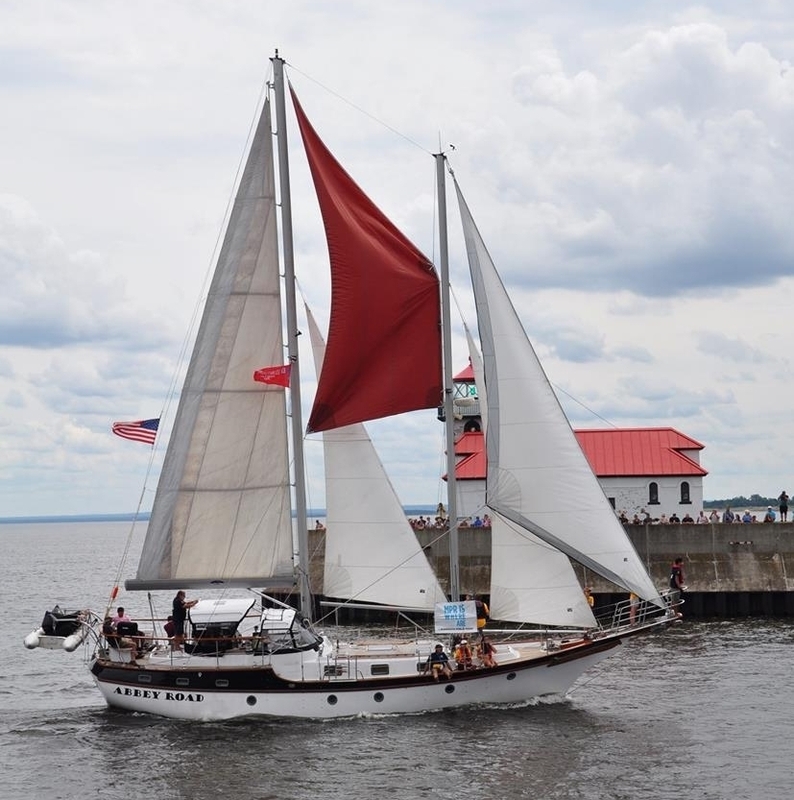 Visitors are welcome to stroll the docks all weekend and Experience the dynamic nautical history of Bayfield, the Apostle Islands and Lake Superior at the Bayfield Maritime Museum, the Bayfield Heritage Museum and the Madeline Island Museum. The Northland College Voyageurs will be performing on the dock from 10am to Noon on Saturday. The highlight of the day will be a Boat Parade from 1–3pm in front of Bayfield — cover your ears when the cannon salutes! Stop by the Bayfield Carnegie Library afterwards to browse their selection of nautical books then stay for the documentary "Maidentrip" at 4:30. Larry Carpenter will perform Sea Shanties and Traditional Music from 7–9pm in the Ferry Terminal. Then the sky will light up with a Demonstration of the use of Marine Flares by U.S. Coast Guard Station Bayfield on the dock at 9:30pm. The visiting boats will be departing at various times on Sunday. Be on watch for two or more boats casting off at the same time as an impromptu race may be about to begin! There is no admission fee to stroll the dock, visit the Bayfield Museums or browse the library. However free will donations for the participating organizations are greatly appreciated. Newer PostCome See Us at Apple Fest!